Speaking at the annual World Economic Forum in Davos, Switzerland, Sir David Attenborough called on government and business leaders to support, with practical plans, “United Nations decisions on climate change, sustainable development, and a new deal for nature.” “What we do now, and in the next few years, will profoundly affect the next few thousand years,” he said. True enough, but politically speaking, Sir David probably knows as well as anyone that precious few in his audience will be motivated to act decisively in the human interest—no more so than at any previous Davos meeting (last discussed in Post #63). In fact, what was being discussed at Davos was about everything but planetary well being: trade wars, sovereign debt, and Donald Trump’s erratic behavior. 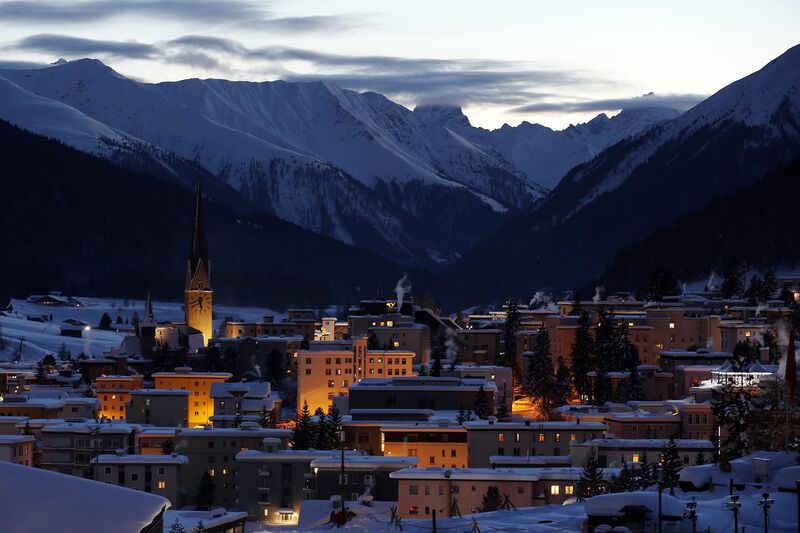 As we in the US celebrate Martin Luther King Day, we might consider what a single decision by those Davos participants would mean: a 1 percent tax on the 1 percent, which today would raise about $418 billion, enough to meet those health and education needs just mentioned. Think they’ll do that, in between glasses of Champagne? *The Forbes 2018 list of billionaires (www.forbes.com/billionaires/#49db3d87251c) has thirteen Americans among the top twenty, sixteen in the top thirty. Chinese billionaires come next, with six in the top thirty. Y’all did not mention the 800 lb. gorilla in the room: overpopulation. Until that issue is concerned, all talk of climate control is so much hogwash. Isaac Asimov said it best in a book I read, in Vietnam 50 years ago. He said words to the effect “You can either decrease the birth rate, or increase the death rate. Take your pick.” But the word now is MUST. Many people see overpopulation as a cause; I see it as an effect–of poverty and environmental decline, thus inadequate (or totally absent) education, health care, work, etc. And let’s not forget where those billionaires, not to mention those who write about them (! ), live — in high-consumption societies that are most responsible for abusing the environment and avoiding social responsibility. Excellent Post, as always, my very dear friend Mel. I shared it on my Facebook page. On your post: Amen, Mel. I forwarded your post to a nephew of mine in Ohio. He is in a program at Kent State that fosters employee-owned businesses. Needless to say, his politics are liberal. So many issues converge, especially environment and the distribution of wealth. It may be good news that addressing one means that you address the others. What incentives do those in the 1% have to pay an extra 1% tax? Might it be that the yearly meeting simply underscores how good they have it, how protected they are from the very ills they (and we who write about them) create? Calls to mind a scene from the latest Star Wars movie which depicted the few well-heeled folk at a party very Gatsby-esque, oblivious to the suffering around them. I wonder if part of the problem is that too many of us in the 99% like the image of the 1% as a kind of fantasy too much to really question the system that supports it. And credit cards offer the illusion that we, too, can sip champagne. Excellent. Square on the mark. We simply cannot allow this atrocity to continue. I don’t see it as the shame of the 1%, I see it as the shame of the 99.99% for not only have letting it get that way, but to still not do anything about it; make no mistake, these so-called people aren’t really people at all, and although, I am generally against killing cockroaches, these things are no better than a plague and should be wiped out, just like polio, smallpox, or any other dreadful thing would be. Well, Roy, “wiping out” the super-wealthy doesn’t fit with my “human interest” philosophy, but I certainly agree to hitting them where it most hurts. A complete overhaul of our tax system, which now more than ever benefits the rich, is obviously in order. That includes the capital gains tax, treatment of investments, transfer pricing on multinational corps., and much more. Of course all these reforms would stand little chance even if Dems. controlled both houses. But that’s where the political pressure would seem most necessary. Even AOC’s 70% proposal would not really “soak the rich,” but it deserves serious consideration.